A whale tail. How cliche is that? 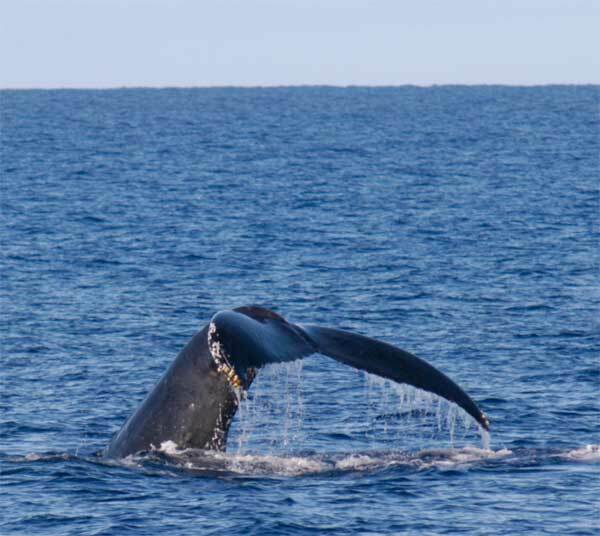 Friday, Feb. 25, we took a little sojourn out of Lahaina, Maui, to watch the whales do their whale thing. They surface, they spout, they swim all about. So, we're doing another whale-watching trip Sunday afternoon with the founder of the Pacific Whale Foundation and have scheduled an interview with him about his good works. It's all part of a two-week series of events known as The Great Maui Whale Festival. Founder and president Gregory D. Kaufman is hosting the cruise aboard a double-deck power catamaran Ocean Odyssey from Ma’alaea Harbor. Special guest: Cristina Castro, Director of Pacific Whale Foundation’s Ecuador Humpback Whale Project. Greg Kaufman, a native of Portland, Oregonhas been a full-time resident of Hawaii for more than 30 years. An international activist in the "Save the Whales" movement in the 1970s, Kaufman founded the nonprofit Pacific Whale Foundation in 1980. Pacific Whale Foundation became known as a pioneer in whale research and a leader in educating the public about whales.